Episode 64 - Our First Book Launch with Shuly Xochitl Cawood! Sadly, the weather foiled our plans on November 15, 2018. Due to a snowstorm, we were unable to make it to Bank Square Books in Mystic, CT to see Jean P. Moore (Tilda’s Promise) in conversation with Cheryl Suchors (48 Peaks). Chris and Emily went on a joint jaunt to see the movie Can You Ever Forgive Me? Chris met up with Our Mystery Man, John Valeri, at Wesleyan RJ Julia in Middletown, CT.
Emily went to Northshire Bookstore in Manchester, VT for small business Saturday. Chris attended the Boston International Antiquarian Book Fair and also had a chance to walk through the Boston Central Public Library in Copley Square. November 27, 2018 Emily would like to visit RJ Julia Booksellers in Madison, CT to see Virginia Sole-Smith discuss her book The Eating Instinct: Food Culture, Body Image and Guilt in America. December 9, 2018 Chris and Emily will head on a joint jaunt to Concord, New Hampshire to see Louise Penny discuss her new book Kingdom of the Blind. The event is sponsored by the Capital Center for the Arts and Gibson’s Bookstore. The book is now available for purchase in Paperback or Kindle HERE. We had a chance to chat with Shuly Xochitl Cawood about her new book, 52 Things I wish I Could Have Told Myself When I Was 17, which is now available in Paperback and Kindle. You can order it HERE. Shuly’s other book is The Going and Goodbye: A Memoir. You can learn more about her at https://www.shulycawood.com/. 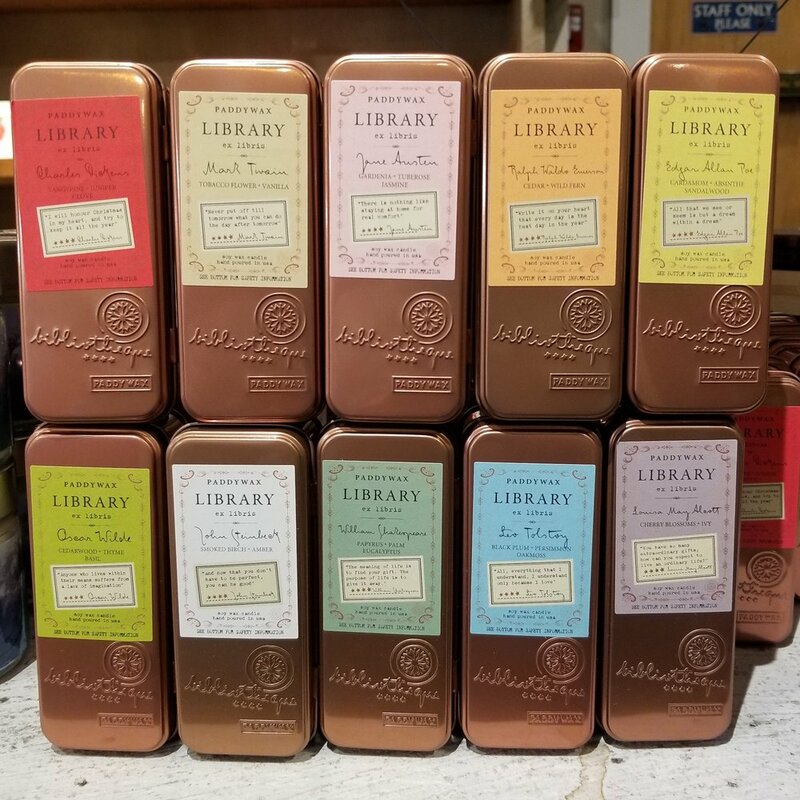 Literary candles available at Northshire Bookstore.